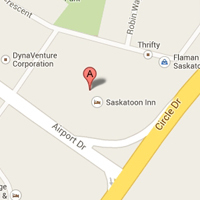 Show Hours both days are 10 a.m. to 10 p.m.
Be sure to stop by the Saskatchewan Abilities booth at the show. You can purchase car show T-shirts, mugs, pins & raffle tickets. 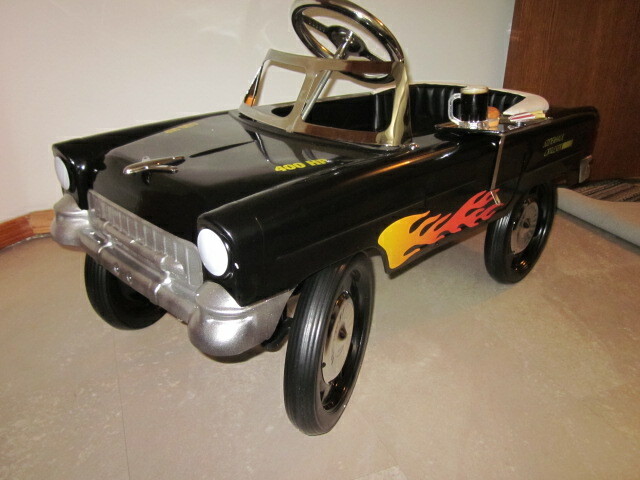 One item for raffle is this 55 Chevy Pedal Car, decked out with tuck & roll upholstery & complete with the drive-in food tray with refreshments & donated by Northend Warehousing Ltd of Saskatoon. 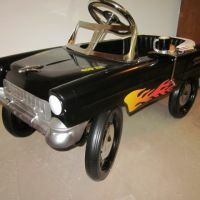 They also will be raffling a beautiful toolbox barbeque and a 50's Jukebox. 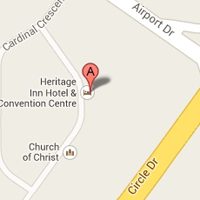 This year we have over 220 entries and are now at capacity in halls A,C,D,E at Prairieland Park. 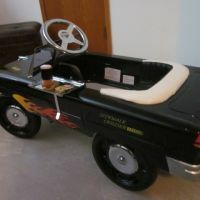 -'50 matte black Merc "lead sled"
Saskatchewan Abilities Council and Camp Easter Seal receive proceeds from the show. There will also be 50/50 tickets, the raffle tickets at the Abilities booth, dealer's of clothing, art, parts, etc. Admission for the show is $15 (16-64), $10 (65+), $5 (6-15), & under 5 free. 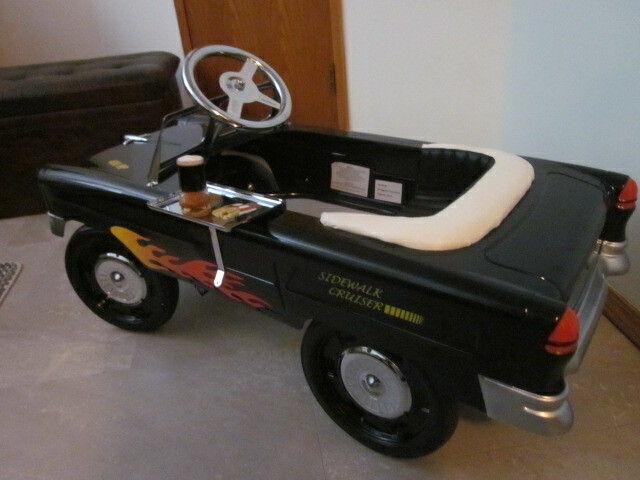 First 1000 kids each day will also receive a free Hot Wheels vehicle. People with cognitive or physical disabilities are admitted free of charge. Some photos of the show, cool corral and mini carshow. All lotteries must be licenced by the Province of Saskatchewan. 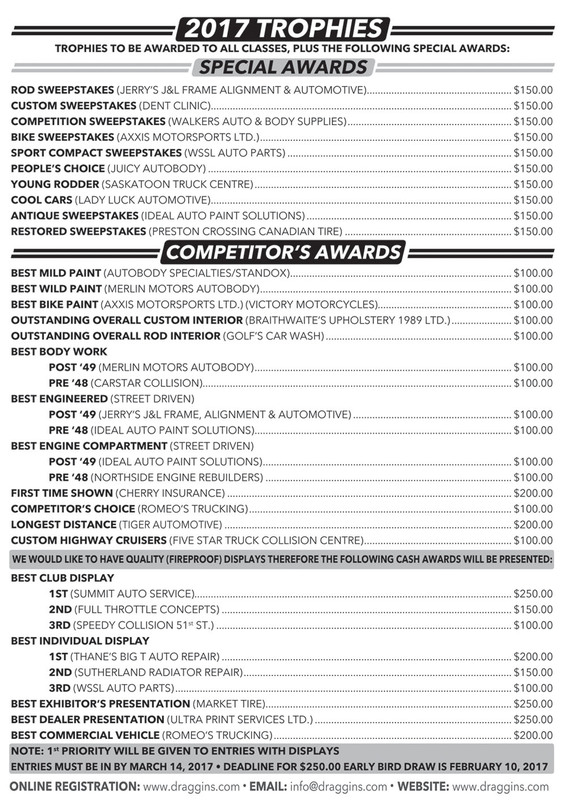 The Abilities Council may sell licenced lottery tickets at the Draggins Car Show any and every year. Besides the Abilities Council the Draggins at their discretion may allow up to 3 additional lotteries to participate in our show. All lotteries must be for the promotion of the automotive hobby by a recognized automotive club or organization and proceeds must go to the promotion of the hobby or a charity sponsored by that organization/club. There will a limit of one lottery per organization per year. Lotteries must promote the automotive hobby and reflect positively on the Draggins Car Show and our organization. When the Draggins Car Club has a Project Car Lottery or any other lottery we may want to have there will be no other lotteries allowed. All requests/applications for the selling of lottery tickets at the Draggins Car Show must be received in writing before January 31st in the year of the show. The Draggins reserve the right to evaluate all applications, choose lottery participants based on suitability and criteria. The Draggins may choose limit the number of organizations selling tickets at the show. Applications approval will be the sole choice of the Draggins by merit and not on a first come basis. As a part of the choice process the Draggins may choose to limit repeat lotteries. We reserve the right to refuse any entry upon inspection at the door (money will be refunded).